NDS factors the entities and attributes of the DES with standard technical syntax and 3rd normal form. The NDS Logical Model provides a standard framework for integration of P-20 data systems through a well-normalized “operational data store”. In a P-20 data system, the NDS models the most current view of data available to the enterprise including some historical data (such as prior assessment data and enrollment records). A “record” is generally added for each Person-Organization Relationship change event in the system. This CEDS logical model does not directly address the production aspects of log and change management. This video describes how the CEDS NDS can help developers with new education software projects. These documents are a printable representation of the CEDS (version 7.1) Data Model, and include entity relationship diagrams, case studies, and the normalized data schema tables and fields. 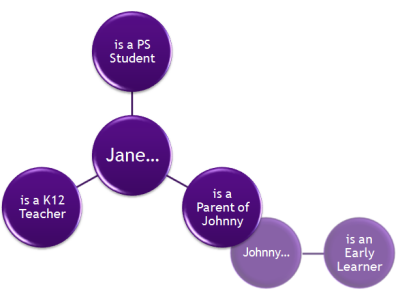 While CEDS does not provide a physical model, a database script to generate a sample database is provided for those users who would like to take the entities shown on the entity relationship diagrams and work with them on a sample database representing the NDS model. A script is available to populate the NDS reference tables with the CEDS version 7.1 option set values. A script is available to populate the NDS "_CEDS" tables with CEDS version 7.1 element details and CEDS to NDS mapping. A script is available to populate the NDS reference tables with the CEDS version 7 option set values. A script is available to populate the NDS "_CEDS" tables with CEDS version 7 element details and CEDS to NDS mapping. A script is available to populate the NDS reference tables with the CEDS version 6 option set values. A script is available to populate the NDS reference tables with the CEDS version 5 option set values.